CF210A Black Compatible 131A toner cartridge for HP LaserJet M251 M276. Approximate page yield 1600 pages at 5% coverage. Not all toner cartridges are made the same! 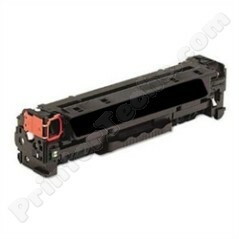 The market for toner cartridges is filled with a wide spectrum of pricing and quality. New genuine cartridges (OEM) typically have the highest pricing and excellent quality; remanufactured or compatible cartridges have much lower pricing but range in quality from excellent to horrible. You don’t want horrible cartridges. So how do you find an excellent cartridge?